Great news! 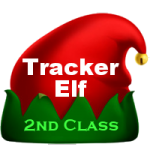 We have now passed 1.5 million new tracker elves signed up so far this year. This is great news. We have only 4.5 million more to go to meet our goal. To give you an idea, by this same date last year we had only about a million new elves. So we are really ahead of where we were a year ago. I think we can meet this goal. I believe in you. 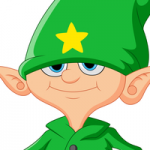 Keep up the great work, elves! what happened to Santa Claus did anything bad happen! Dear Aiden, Nonthing hs happened to santa he just needs our helpm so he will be okkkkkk.